The funeral Mass for Jesuit Brother Harold A. Teel was celebrated Feb. 11 in the Community Chapel at Jesuit Hall in St. Louis. The missionary, pastoral minister and educator died Feb. 5 in St. Louis. He was 91 and a Jesuit for 68 years. He was remembered for his ability to connect with people on the margins. Born in Indianola, Neb., in 1927, he served in the Merchant Marine in the Colorado National Guard and studied at Regis College in Denver. He earned a bachelor’s degree in economics from Rockhurst University in Kansas City, Mo. Brother Teel entered the Society of Jesus (the Jesuits) on Aug. 17, 1950, at St. Stanislaus Seminary in Florissant. As a junior brother, he was a gardener at the seminary. He then served at St. Joseph’s Hall in Decatur, Ill.; at Sacred Heart Retreat House in Sedalia, Colo.; and Rockhurst High School in Kansas City, Mo. He was missioned to Belize in 1970, where he taught for four years at St. John’s College in Belize City. 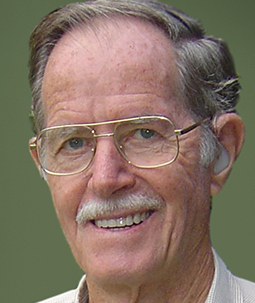 He did pastoral work in Yoro, Honduras, and helped oversee the office work for the Jesuit mission (1975-87). From 1987-92, he served as minister at the novitiate in Denver. In 1992, he served at St. Peter Claver Parish in Punta Gorda, Belize, and its missions. In 2012, he was assigned to work in pastoral ministry at Jesuit Hall in St. Louis. In 2015, he began a ministry of prayer for the Church and the Society of Jesus. He is survived by a sister, Kassie Uerling. Burial was in Calvary Cemetery.